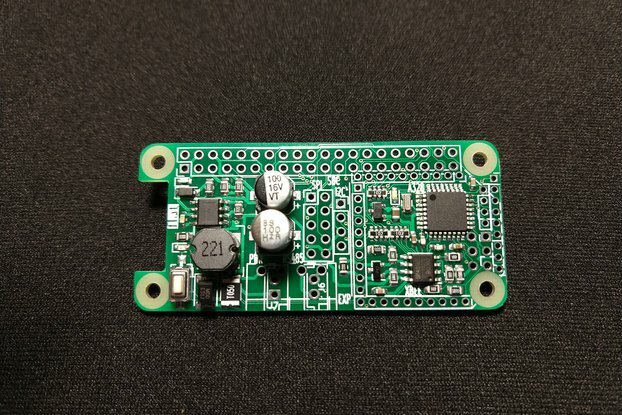 2MSPS scope, 12-bit bipolar power supplies, RC meter, waveform generator, I2C plug and play, USB powered & controlled !!! ExpEYES is from the PHOENIX project of Inter-University Accelerator Centre, New Delhi. It is a hardware & software framework for developing science experiments, demonstrations and projects without getting in to the details of electronics or computer programming. It converts your PC into a science laboratory. PHOENIX (Physics with Home-made Equipment and Innovative Experiments) project was started in 2005 as a part of IUAC's outreach program, with the objectives of developing affordable laboratory equipment and training teachers. 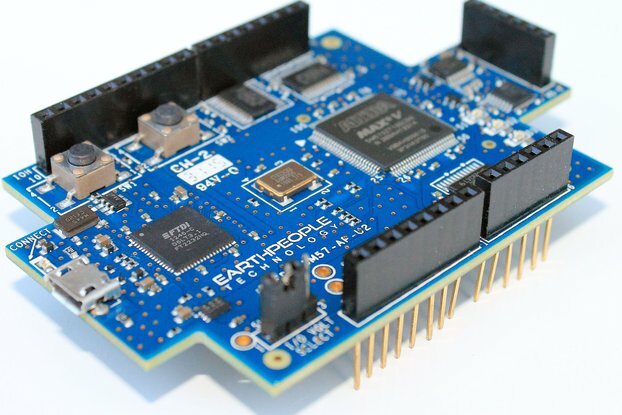 The design of ExpEYES combines the real-time measurement capability of micro-controllers with the ease and flexibility of Python programming language for data analysis and visualization. 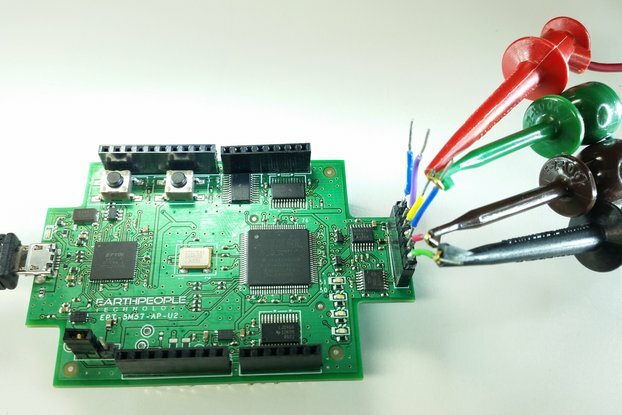 It also functions as a test equipment for electronics hobbyists and engineering students. Software for all products from PHOENIX are distributed under GNU General Public License and the hardware designs are under CERN OHL. A tool for learning science by exploring and experimenting. 50 documented experiments and easy to add more. Wide range, High school and above. Frequency Counter and time measurements. Open Hardware and Free Software. Software in Python programming language. Why was the creation of ExpEYES necessary? The relevance of substantiating theory with experimental methods is integral to science. However, a variety of factors ranging from costly and proprietary hardware, to lack of availability of open-source alternatives prohibits quality hands-on education in undergraduate level teaching laboratories . 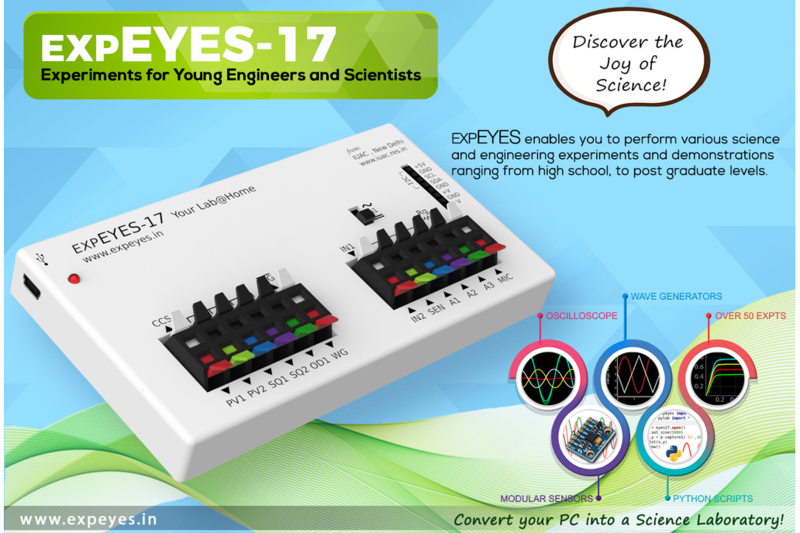 ExpEYES-17 is a multi-purpose, USB-powered instrumentation tool that packs a set of fundamental data acquisition and control tools such as oscilloscopes , frequency counters, RC meters and the ability to easily acquire data from Plug and Play I2C sensors without any technical know-how. 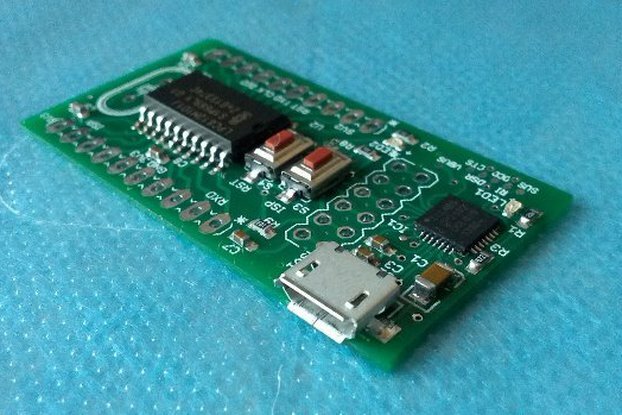 ExpEYES hardware consists of an inexpensive microcontroller with nanosecond response times and numerous communication channels, used in conjunction with appropriate analog circuitry that makes it capable of measuring a wide variety of parameters pertaining to science experiments. This highly flexible framework can be controlled entirely via its Python library, and the superior visualization and analytical modules of Python are used to process the data on the fly in order to dictate further events and seamlessly extracting meaningful physical data. Over fifty different experiments pertaining to electronics and Physics labs have already been developed and published on its Debian repository. The ability to easily access multiple control and measurement tools as well as analyze the results from one common platform (such as is common in advanced research labs ) enables users to design innovative experiments and further the spirit of science. India Post is a rather slow as compared to DHL or Fedex . The items will arrive in approximately 2 weeks, following which customs clearances will be the responsibility of USPS and the client.